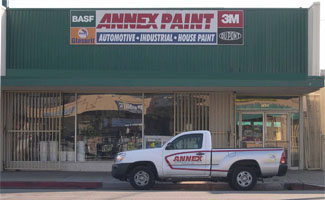 Matte Metallic Paints are unique, non-tarnishing colors with real metal particles, pearlescent pigments and traditional color pigments uniquely combined to create a palette of the 15 most popular metallic colors. Use Metal Effects for an aged metal finish. While we populate our site with all various Modern master products and color selection pleae contact our store dirrectly for ordering Modern Masters materials. 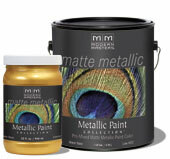 Matte Metallic Paints used with our Metallic Paint Collection Colors create endless combinations. Apply a Matte Metallic Color as a basecoat, then apply Metallic Paint Collection Color over top using Natural Sea Sponge Roller to create a beautiful stone finish. You can create a beautiful striped finish using Matte Metallic and Metallic Paint Collection in the same color. Drag a brush through the top color to create swirls or other one-of-a-kind finishes. The options are limitless.